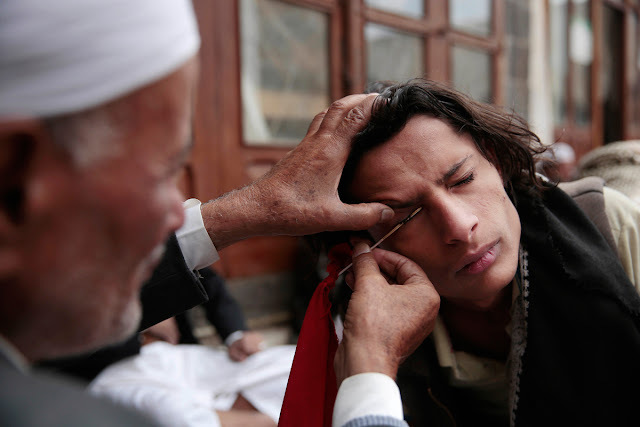 A man applies cosmetic kohl on another man's eyelid during the holy month of Ramadan in the grand mosque in the old city of Sanaa, Yemen, on June 23, 2016. Kohl is used in the Middle East as protection against eye ailments. 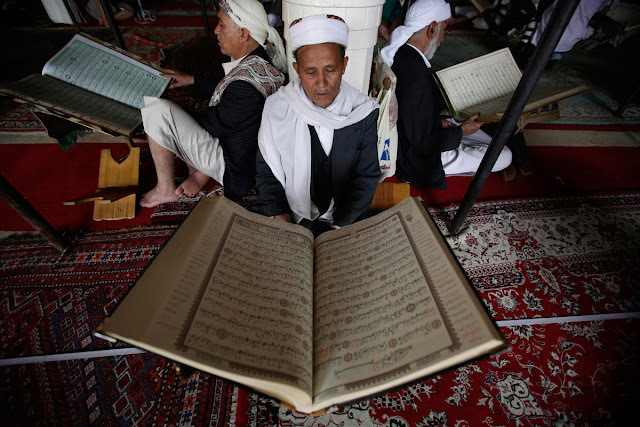 Men read verses of the Quran—Islam's holy book—on the first day of the fasting month of Ramadan in the Grand Mosque in the old city of Sanaa, Yemen, on June 6, 2016.